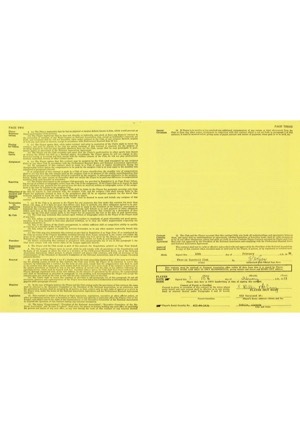 The cover of the contract reads, “NATIONAL ASSOCIATION OF PROFESSIONAL BASEBALL LEAGUES”. Beneath this is the signature of Willie McCovey and an authorized club official. The uniform player contract is between the “Phoenix Club” of the “Pacific Coast League” and “Willie Lee McCovey”. 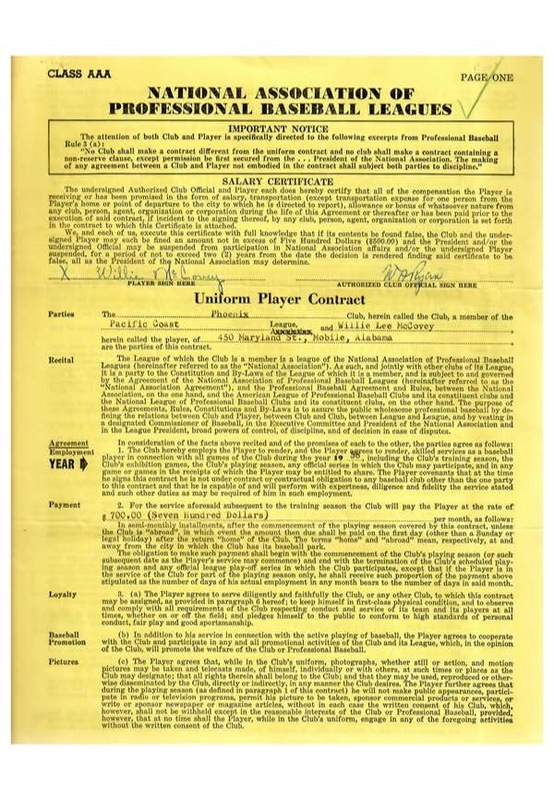 The body of the contract states that club will pay McCovey “at the rate of $700.00”. 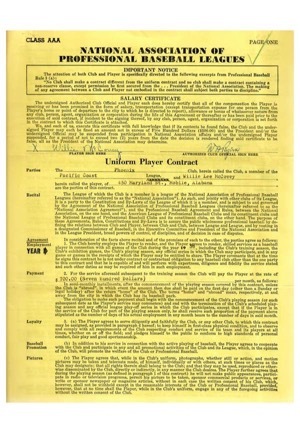 Page three is also signed by McCovey and dated “10th day of February 1958”. 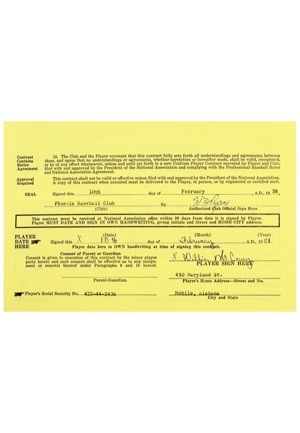 The back of the contract is signed and approved by the President of the National Association and League President. 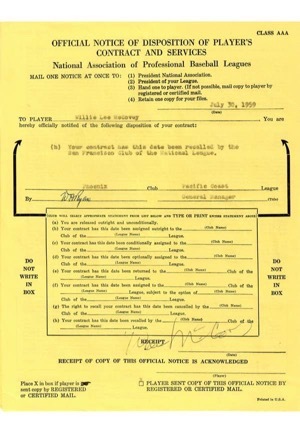 Also included is McCovey’s “OFFICIAL NOTICE OF DISPOSITION OF PLAYERS CONTRACT” that reads “Your contract has this date been recalled by the San Francisco Club of the National League” dated “July 30, 1959”. Accompanied by a LOA from JSA.